Frankie Dettori claims Too Darn Hot is jumping out of his skin as he continues his preparation for his eagerly-awaited return in the Watership Down Stud Greenham Stakes at Newbury next month. Having partnered the Qipco 2000 Guineas favourite in his last two pieces of work, the ever-popular Italian feels the son of Dubawi has developed both physically and mentally from two to three. After making a winning debut at Sandown in August the Lord Lloyd Webber-owned colt went through last season unbeaten, culminating in claiming Group One glory in the Dewhurst Stakes at Newmarket. Dettori said: “I’ve ridden Too Darn Hot in his last couple of bits of work. He seems well and he looks physically stronger, he has progressed well. “He is an exciting horse, he is the champion two-year-old and I’m looking forward to riding him. He is rated 126 and I don’t think I’ve ridden a two-year-old rated higher. “It (the dip) took him by surprise, but Newmarket can be challenging. He is bouncing around and is very fresh. He has matured well. Echoing the thoughts of Dettori is trainer John Gosden, who is seeking a first win in the opening colts’ Classic. Gosden said: “He is training nicely and we are pleased with him. Frankie sat on him at the weekend, was very pleased with his development from two to three and we are building towards the Greenham with him. “He is a bundle of energy. He really enjoys his exercise and is very playful. He is like a very hyperactive, ‘I want to get on with it’ kid. 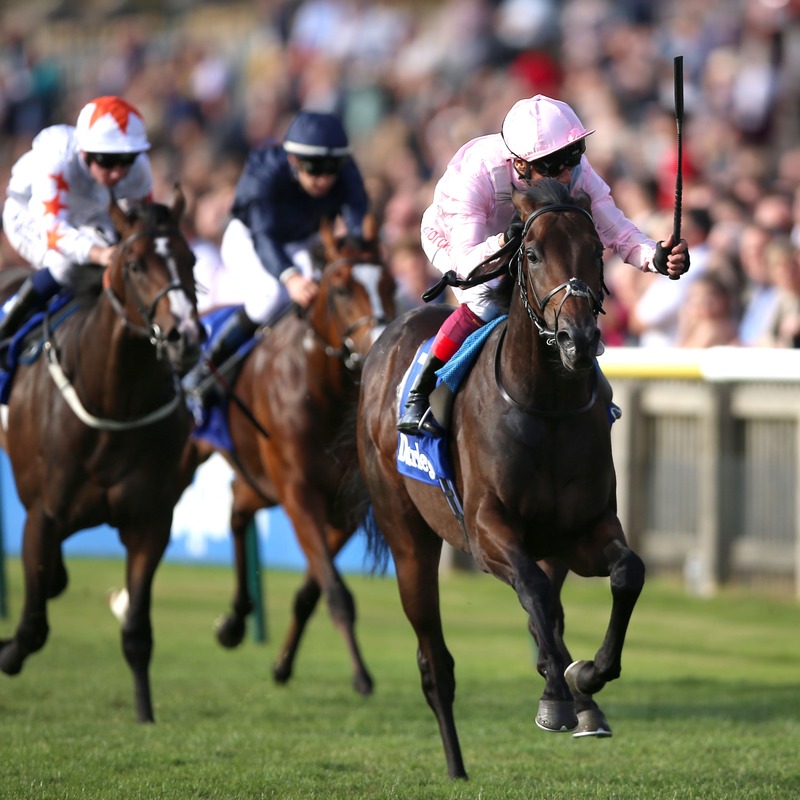 Although the Newmarket handler expects Too Darn Hot to have no problems in getting a mile, he is unsure if he will stay the additional four furlongs of the Investec Derby at Epsom in June, for which he is the general 4-1 favourite. He added: “He is strong and quick. Obviously I feel a mile would be very much in his compass. “His mother stayed a mile and a half and his sister was second in the St Leger, yet he had another sister who was purely happy at a mile and a quarter.